(Natural News) – In a bombshell Counterthink interview filmed at the InfoWars studios in Austin, Texas, Dr. Suzanne Humphries revealed how the FBI attempted to frame her for making death threats against herself. The full interview, available at Counterthink.com (or see video below), reveals how the FBI lied to Dr. Humphries and attempted to use an elaborate ploy to criminalize Dr. Humphries (or the people close to her). Natural News was pivotal in exposing the conspiracy fraud of the FBI and helping make sure Dr. Humphries was not arrested and falsely indicted by federal authorities. As Natural News reported several months ago, Dr. Humphries was subjected to a series of death threats culminating in a vile “mass shooting” threat that detailed exactly how a hater of Dr. Humphries planned to shoot her at a public event. Upon receiving this threat, Dr. Humphries immediately filed criminal complaints with both the Austin Police Department and the FBI. This action generated an Austin PD case number which Dr. Humphries privately noted. Autism Investigated: Deputy A.G. Rod Rosenstein’s sister runs the vaccine program. Does anyone remember five years ago when Bill Gates came to University of Texas, Austin and skirted a question about his vaccines paralyzing 47,500 Indian children? Autism Investigated’s editor does! In stark contrast to Gates claiming to the president to have “looked at” vaccine poisoning issues, the five-year old video above proves otherwise. Why would media need to be arranged in advance for a simple hour-long speaking engagement with some college kids? Is it because Bill Gates does not want to have to answer questions about how over 50 Chadian children, some as young as seven years old, recently hallucinated, convulsed, and were ultimately paralyzed after receiving an Africa-specific meningitis vaccine linked to his Bill and Melinda Gates Foundation? Perhaps he doesn’t want to be confronted on how this is becoming a pattern, considering 47,500 children were also paralyzed by Gates-linked vaccines in India in 2011. Bill Gates really didn’t want to be confronted on how a vaccine linked to the Gates Foundation paralyzed some 47,500 children in India, but Infowars reporter Melissa Melton asked him about it anyway. As Infowars‘ video proves, Bill Gates never “looked at” the vaccine problem and doesn’t want anyone else to either. The reason, of course, is that he’s made himself part of the problem. Why wasn’t this a gigantic story in the press? Why hasn’t the government investigated? IMAGE CREDITS: JOE RAEDLE / GETTY IMAGES. I’ve placed these lies in the context of a Q&A: Q: Let’s say I accept the idea that vaccines create protection against disease. 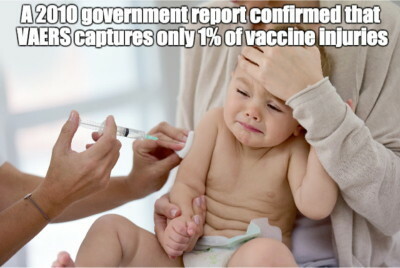 Vaccines create immunity. What’s the problem? Why should I worry? Why should I go outside the mainstream for information? IMAGE CREDITS: DMITRY ROGULIN\TASS VIA GETTY IMAGES. IMAGE CREDITS: CHRISTIAN GLATZ / FLICKR. Autism Investigated Note: History repeats itself already. For background on the study’s senior author, please see PERVERT ALERT: “Scientist” W. Ian Lipkin Sued for Degeneracy. Start with this: A new study links fever in pregnant women to an increased risk of autism in their babies. “The study – led by the Mailman School of Public Health at Columbia University in New York City, NY – also found that the risk of autism increased in line with the number of fevers reported after 12 weeks of gestation – rising to 300 percent higher risk [of autism] with reports of three or more fevers.”Next, here is a one-word item from the World Health Organization web page, Vaccine Safety Basics. The item comes under the heading of “minor vaccine reactions,” and applies to every vaccine: the reaction is FEVER.Pregnant woman gets vaccines. Vaccines cause fevers. Fevers are linked to autistic babies. Accepting the finding of the new study, cited above—routine vaccination for pregnant women is linked to an increased risk of autism in their babies.That’s it in a nutshell. What if a study of vaccinated versus unvaccinated children was published, removed, republished in a different journal, removed again because of online misinformation, and then republished (today) after the misinformation was cleared up? Well, then you’d have the first study of vaccinated versus unvaccinated children officially online and in a journal (as of this moment). And, if that’s not confusing enough, please note there are actually TWO separate studies on unvaccinated children in the same journal. The second one is linked in my first comment, and it concerns premature infants. Yes, that’s the conspiracy crank site InfoWars, and yes InfoWars is eating this study up, interviewing Celeste McGovern, who is promoted as a “vaccine expert.” I had never heard of her before, but it turns out that she writes for Claire Dwoskin’s Children’s Medical Safety Research Institute (CMSRI), one of the two antivaccine groups that funded Mawson’s study. (The other was Generation Rescue.) As expected, she is antivaccine to the core. What I learned, though, from following The Gnat’s link is that there was a second paper published in the very same bottom-feeding predatory open access journal by Mawson using the very same survey dataset, Preterm birth, vaccination and neurodevelopmental disorders: a cross-sectional study of 6- to 12-year-old vaccinated and unvaccinated children. Clearly, Mawson believes in the concept of “minimal publishable unit” (or MPU, as we call it) in which you divide the data into as many papers as you can and still get manage to get published, hence his publishing two papers instead of one. Poor Gorski, he celebrated way too soon.